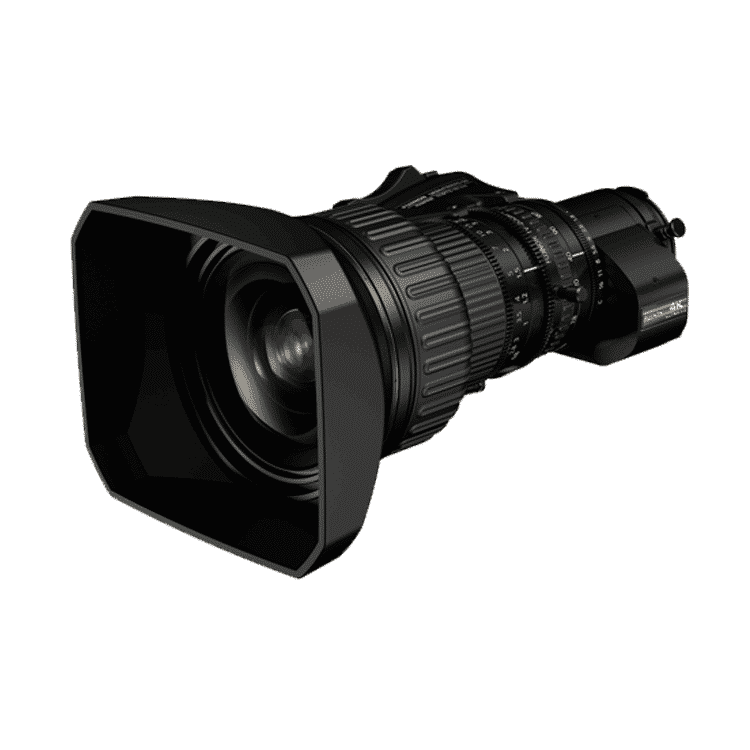 FUJINON UA24x7.8BE 4K high-definition puality, combining a class-leading 24 times zoom ratio and the lightest weight, 1.98kg. The new FUJINON UA24x7.8BE is a 4K compatible portable zoom lens that achieves the world’s smallest and lightest specs for its type, with a total length of approx. 220.5mm and a total weight of approx. 1.98kg. Reducing the burden of the “shoulder carrying style” used when filming with a camera on one’s shoulder, this lens shows its power when combined with a “4K camcorder.” Also, since the lens features a 24x high magnification zoom covering a focal length from the wide angle of 7.8mm to 187mm, the lens is capable of capturing a wide variety of different scenes, exhibiting high operability. Furthermore, the FUJINON UA24x7.8BE lens achieves a high magnification zoom and a compact body at the same time. This lens is capable of shooting realistic videos with a focus on the subject, for live sport broadcasting or press coverage productions which require high mobility. In addition, by thoroughly reducing chromatic aberrations, which are a common occurrence in telephoto zooms, it is also possible to shoot utilizing “HDR (High Dynamic Range).” It is possible to reproduce rich tones even when shooting scenes with intense contrast, such as stadiums at dusk. • 24x zoom covering a wide range of scenes from 7.8mm at wide angle to 187mm at telephoto. • Compact and lightweight body, measuring 220.5mm and 1.98kg.